The United States Consumer Product Safety Commission announced a recall of approximately 1,350 Specialized 26 Epic and 26 Era Bicycles due to a potentially faulty shock absorber mount that can break and jam the spokes. This scenario can cause the rider to fall and become injured. Riders of these bicycles (or any bicycle at risk of breaking) should immediately stop riding the bikes and contact Specialized for more information regarding this recall. The bikes at issue were sold in September-October of 2009. Any company that manufacturers a product that is "unreasonably dangerous when put to a foreseeable use" may be strictly liable under Illinois law for any injuries that stem from the use of the defective product. 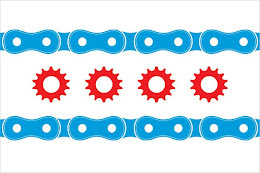 If you have been injured while riding and think it was due to a defective product, please contact Illinois Bicycle Lawyer Mike Keating at MKeating@KeatingLegal.com or 312-208-7702.